In your opinion, how important is Customer Experience in defining the success of an organisation? I would say that Customer Experience makes for the success or failure of any organisation on the long term. It is THE defining parameter for the sustainable growth and success of any business. Companies and organisations are not about the products and services they provide, or about the procedures and rules they establish and follow, they are about the people they serve and it is these people, the customers, who in the end decide which company is still there over the years. We know that Customer Experience at Porsche Finance Group is inspired by the statement “Serving you, Drives us”, Could you tell us what it stands for? Serving You Drives Us is our service vision and represents our firm belief that we come to work every morning for our customers, to serve them better every day with new and innovative products and services that match their needs and expectations. Within Porsche Finance Group, we extend this motto and its meaning not just to customers, but to our entire team of employees – we work only as a team and we know we wouldn’t be able to accomplish anything without each other. What are the key things to be considered while designing a superior Customer Experience? I would say never losing focus of the customer’s needs and expectations. Working with your products, procedures and services every day, designing and improving them continuously, you tend at one point to think you know best or at least better what customers expect. This is lots of times not the case – every customer is different, the customer changes, customers today are not what they used to be – they are individuals and wish to be treated as such and as such, they have very different expectations, wishes and needs. So you and your business need to adapt and be there for them when and how they need it. This involves a lot of flexibility, power to adapt, versatility and why not, a touch of innovation. Personally, I think the human touch and the relationship a brand builds, or not, with its customers is the key to excellent Customer Experience. And this you achieve through people – good people, customer oriented employees will help you deliver superior Customer Experience. At the same time, I think it can turn into the biggest challenge, because it is no easy task. What are the key issues that can become a roadblock in delivering a great Customer Experience? People, just as I just said. Without a well educated and services oriented team, there is not much you can do. But with the right people onboard, sky’s the limit, even if your procedures and rules tend to be quite rigid and difficult to change in the beginning. What would be your advice to leaders for engaging their team members towards delivering a good customer experience? Simple: walk the talk. If you don’t do what you ask other to, then sooner or later nobody will listen and you will end up talking to yourself. Each of us can offer good customer experience throughout the day, not just at work – it is a mindset, a personal decision about how you wish to treat others and be perceived. So if you do it naturally, the rest will follow for sure. What do you think Romania needs as a country to be on the world map of Service Excellence? I think Romania itself already has a map of Service Excellence – I think Romanian customers receive great customer experience from brands they use. If you are talking about Romania as a country on the world map of Service Excellence, I would say it needs nothing different than any other country which wishes to be there – and that is the right mindset, or a service oriented mindset and a service culture of its own. It is about everybody coming together, caring about each other, supporting each other and working together, about really feeling that they are part of something great, that they can represent and serve their country in ways that will make others talk about it, hear about it and want to experience it. It is closely linked to the country brand, which can for sure have a very strong and powerful service component. Alexandru Bogdan, Marketing Director Baneasa Shopping City. Are You Hiring People with the Right Service Mindset? 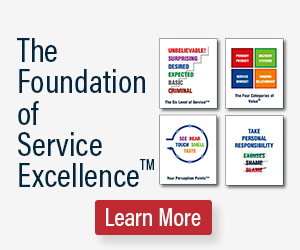 Service Standards and Service Excellence....are Not the Same Thing! Who Decides What is Uplifting Service? Ce alegi între satisfacția sau loialitatea clientului? Chat with Service intellect: Sonia Nastase, Country Manager at Nestle Nespresso... Ce alegi între satisfacția sau loialitatea clientului?